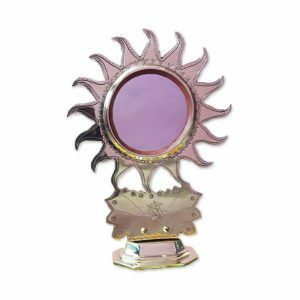 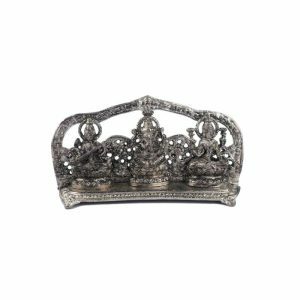 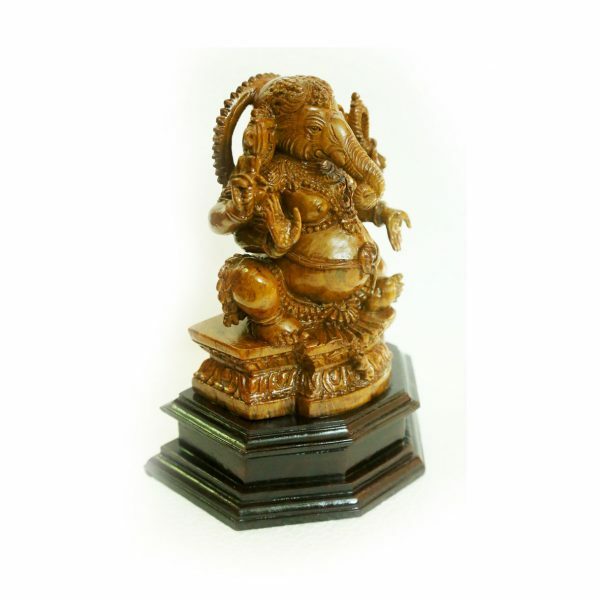 This sitting posture of Lord Ganesha is ideal for wardrobe display and is believed to ward off obstacles and bring good luck. 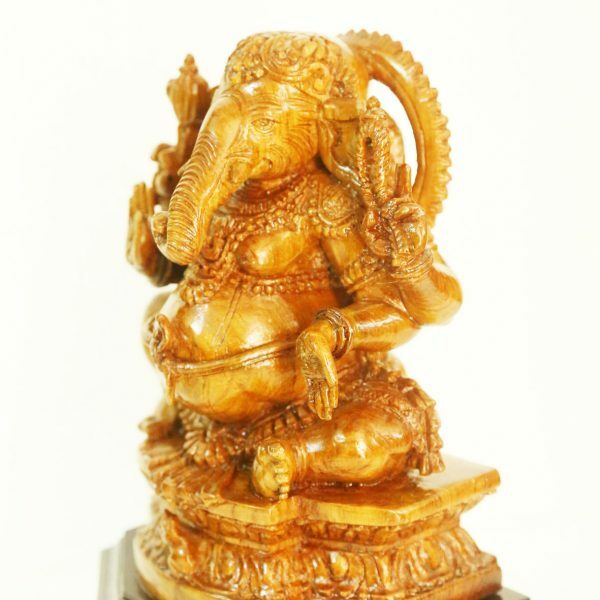 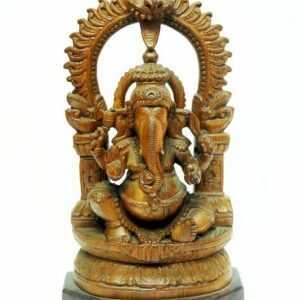 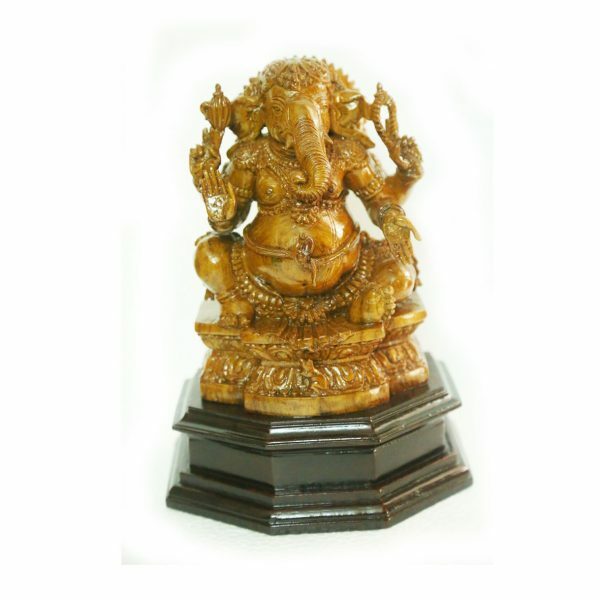 This woodcraft carved out of teak is an excellent Ganesha idol. 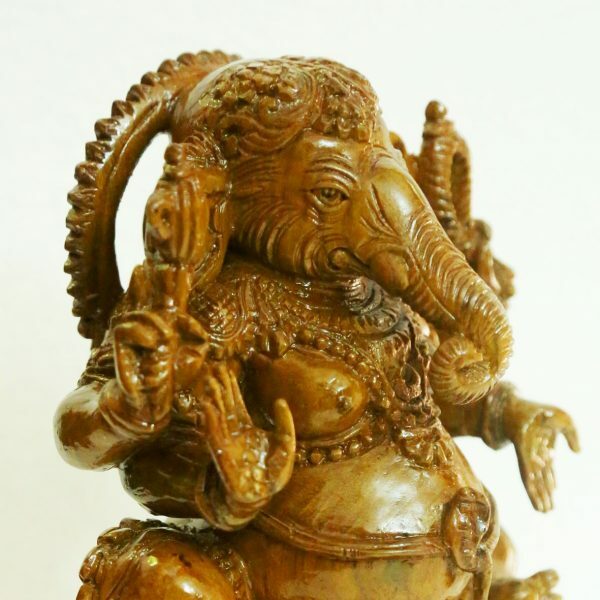 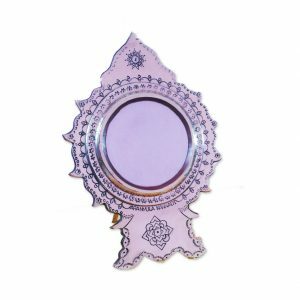 Here the Lord Ganesha is seated on a peedam.